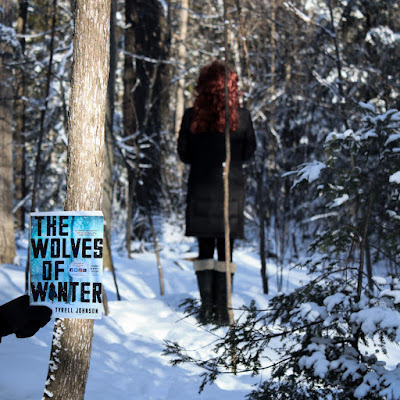 Atmospheric covers always turn my head, and that certainly happened with THE WOLVES OF WINTER. I mean, just look at it! Tall trees, blue hue, and a mysterious woman walking into a snowy forest, oooooo the vibes! Then I learned the book takes place in the Canadian Yukon, and it was a done deal. I’d also like to give props to Simon & Schuster Canada because they sent this beauty in the coolest package ever, which cranked up my excitement level to an even 10. Wrapped in brown paper and tied with a string, a “postmark” from the Yukon in the top left corner, the contents included a first aid kit, matches, collapsible water bottle, and beef jerky “made” by the protagonist! UNREAL. 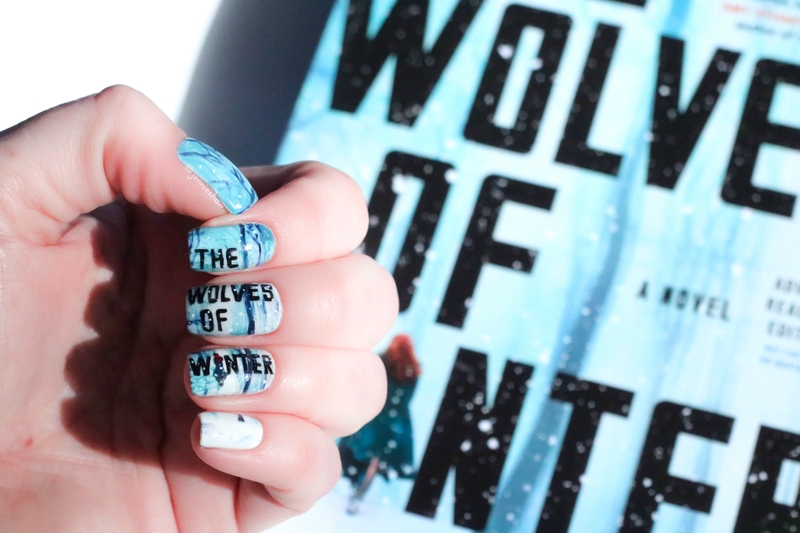 So yeah, I had a plethora of reasons to look forward to reading THE WOLVES OF WINTER and now I’m going to tell you all about it (without actually *telling* you anything because spoilers are the worst). The Canadian winter has a well-deserved reputation for being too cold to function, with every surface covered in a thick layer of ice and snow until the middle of May. While I can attest to that being true, I live in Southern Ontario and oh my, did I suddenly become thankful I don’t live any farther north because yikes. Made worse by the lack of electricity, I wrapped myself up in a blanket while reading about Lynn’s day-to-day activities, which focused on making sure there was wood for heat and meat for meals. Two goals, day in and day out. Survival as a way of life, which could be considered monotonous if not for the ever-present fear of death. Yikes, the sequel. Cover design by Pete Garceau and Hafen Hamburg. Armed with a bow and arrow and wry sense of humour, Lynn's strength of character was revealed straight away and I easily connected with her. The first part of the book explained how Lynn and her community lived, which immediately set up the stakes because if they faltered for even a day, the consequences could be lethal. Scarce resources and no law of the land meant that any stranger posed a threat, which raised interesting questions about humanity. Is it worth helping somebody who has the potential to end your life? When you’re hanging on by a thread, putting trust in a stranger can be deadly, but turning away a person in need doesn’t sit right with the soul, so which do you choose? Those questions were further dissected and examined when Jax arrived. His presence created a dramatic shift in Lynn's life, which is when things really got interesting. Lynn’s first-person point-of-view meant that I learned the truth regarding certain events of the past at the same time she did and it amplified the tension, Lynn's fears and suspicions echoing my own. It was like trying to put a puzzle together without having a picture and because Lynn was in the dark, it negated the opportunity for explanatory backstory. The end result is a novel that shows far more than it tells (woot!!). So if you gravitate towards postapocalypic novels set in unforgiving environments, with danger lurking behind every snow-covered tree, THE WOLVES OF WINTER is the book for you! Big thanks to Simon & Schuster Canada for sending an ARC packed with goodies! 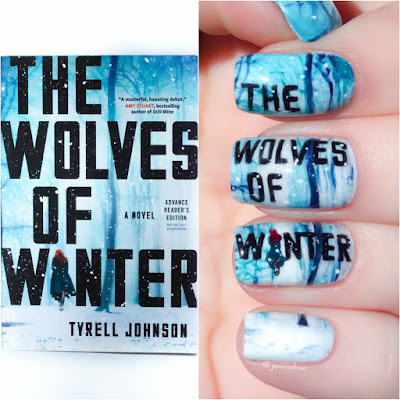 As an added bonus, I was invited to attend a book club this week, hosted by Indigo and Simon & Schuster Canada, where I had the chance to meet Tyrell Johnson, eat a delicious bookish cookie, and talk all about THE WOLVES OF WINTER! Shoutout to my booknerd partner-in-crime for coming with me, and to the awesome hosts and other readers!! I had the most marvellous time! Man you guys got a lot of snow. Stay warm. Aren't book clubs fun.